How many different versions of American Gods can I consume? All of them. There’s the original printing, then the author’s preferred text, then the tenth anniversary edition with the cool cover, and of course, STARZ’ upcoming television series. And now this… it’s going to be glorious. P. Craig Russell did a terrific job creating The Graveyard Book graphic novels. Scott Hampton doing lush interiors? And Glenn Fabry covers? So I buy 27 single issues AND 3 hardcover collections on top of everything else. I’m in. 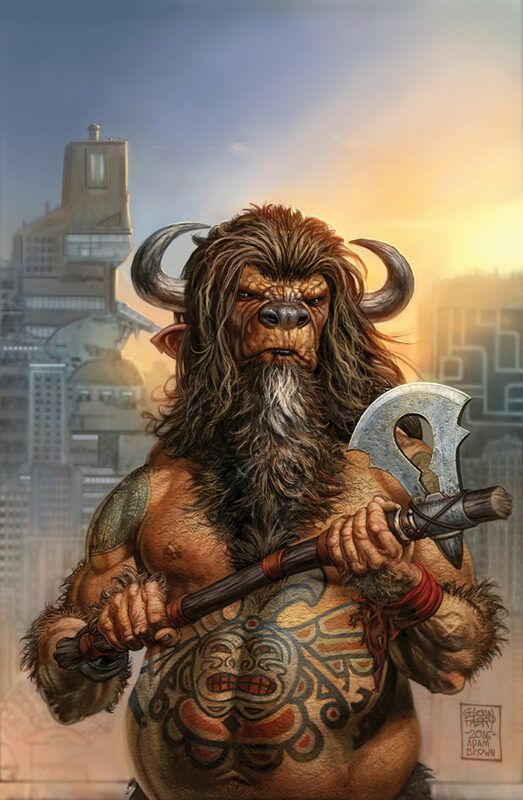 Today, Dark Horse is excited to announce the adaptation of American Gods into comic book form. Originally published in 2001 by William Morrow and Headline, American Gods is a Hugo and Nebula Award–winning novel by Neil Gaiman (How to Talk to Girls at Parties, The Sandman). North American rights were acquired from Gaiman’s literary agent, Merrilee Heifetz at Writers House. American Gods is the latest Gaiman adaptation from Dark Horse, preceded by graphic novel adaptations of How to Talk to Girls at Parties, Troll Bridge, Forbidden Brides, and many more. Starz will also premiere an American Gods TV show in spring 2017, adapted by Bryan Fuller (NBC’s Hannibal, CBS’s Star Trek: Discovery). Dark Horse tapped P. Craig Russell (The Sandman: The Dream Hunters)—who, having worked on Coraline and The Graveyard Book, is no stranger to adapting Neil Gaiman’s work—to adapt and co-write the comic series, while Scott Hampton (Hellboy, Batman) lends his illustrative skills to the complex world Gaiman created. Glenn Fabry (Preacher) and Adam Brown (Predator vs. Judge Dredd vs. Aliens) create the hauntingly beautiful cover art. David Mack (Kabuki, Fight Club 2) and Dave McKean (Black Dog, Cages) provide variant covers for the first issue. 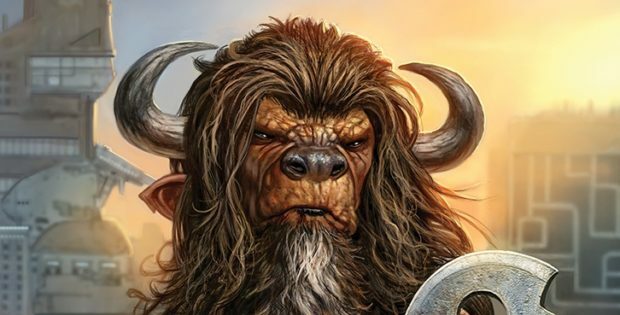 The American Gods comic series will feature guest interior art by Walt Simonson (Thor), Mark Buckingham (Fables), Colleen Doran (The Sandman), P. Craig Russell, and more. orse, preceded by graphic novel adaptations of How to Talk to Girls at Parties, Troll Bridge, Forbidden Brides, and many more. Starz will also premiere an American Gods TV show in spring 2017, adapted by Bryan Fuller (NBC’s Hannibal, CBS’s Star Trek: Discovery).